Take that. Here's a small token of our appreciation on behalf of the nation. Thank you very much for your services. That's not the Prime Minister's exact words but five months after Roosevelt Skerrit made a promise to former Prime Ministers of Dominica he is yet to keep his word. At his 2018 Independence Day address at the Windsor Park Sports Stadium, before the nation and the world, Prime Minister Skerrit said he was setting up a committee to decide how to assist, financially, former Prime Ministers. "Today we salute Patrick John, our first prime minister. Then also, there is O.J. Seraphin and Edison James," Skerrit said. "Reflecting on their contributions to our development, I'm not satisfied that we have been as generous to our past leaders as we should be." Skerrit said he intended, with the support of the parliamentary opposition, to appoint a bi-partisan committee to decide on financial compensations. "I propose as my first order of business on Tuesday morning, to write the current leader of the opposition," Skerrit said. Nonetheless, Skerrit proposed that no former Prime Minister "should be receiving as a pension, anything less than the current salary of a minister of government" and that "they should not have to drive themselves or seek out transportation to official events and furthermore, that they should be provided a state-sponsored vehicle every five years." But the potential recipients are still waiting. 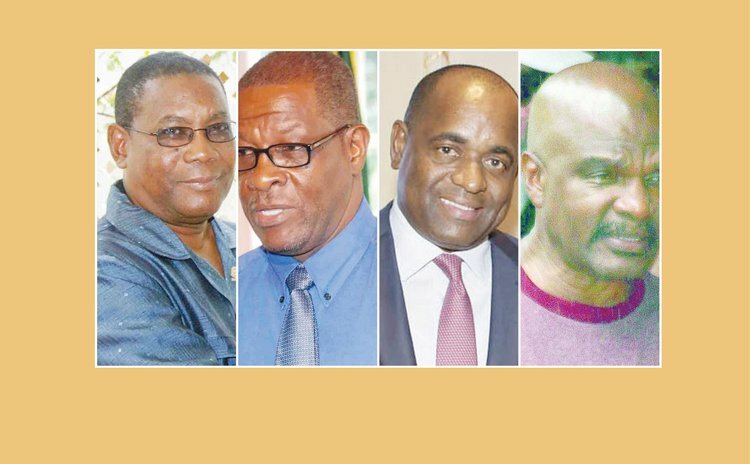 "The Dominica Parliament has met at least twice since that pronouncement from the PM and no word or mention of the said committee," a former parliamentarian who supports the initiative said. The SUN contacted the three living former prime ministers (Patrick John, O.J. Seraphin and Edison James) who all supported the idea but refused to say anymore to the press. The SUN's reporter sent a message to PM Skerrit requesting his comments and or an update on the matter but he did not respond. In the meantime, the Sun obtained a copy of a letter that opposition leader Lennox Linton wrote to PM Skerrit on November 15, 2018. "Your letter on the matter at caption (RE: Establishment of a Parliamentary Committee to look into the Conditions of Past Leaders) dated November 9th, 2018 and delivered to the House of Assembly Office of the Leader of the Opposition at 3:21 pm on November 12th, 2018, refers. "First, I must inform you that I fully support the grant of reasonable pension payments and other retirement benefits to our past National Leaders. I believe the work they have done in their respective tenures deserve more than the pittance they now receive. "I am however concerned that you seek my support for this initiative without any reference to the procedure for the appointment of Select Committees of Parliament. You may therefore wish to be advised that the appointment of a Select Committee of Parliament with specific terms of reference, for whatever purpose, is not merely a matter for the Prime Minister and/or the Leader of the Opposition. "Kindly permit me now to suggest, having regard to the need to be "kind and generous" to Past Leaders, that in the interim, you as Prime Minister and Minister of Finance through your Cabinet, pay to Dominica's first Prime Minister Patrick Roland John an ex gratia benefit of $40,000.00 in acknowledgment of our 40th year as an Independent nation. I trust that you will have no difficulty facilitating this payment. "I further suggest and hereby recommend a monthly pension for Mr. John in the amount of $4,000.00, also in the interim.